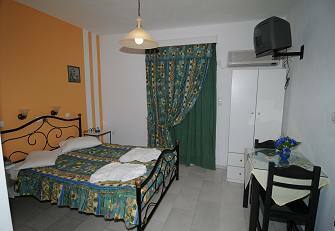 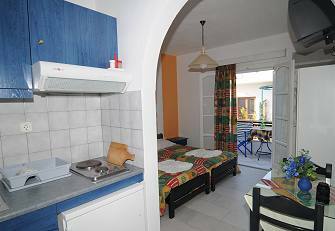 Studios Stratos consist from double, triple and four bed studios which can accommodate from 1 to 4 persons. 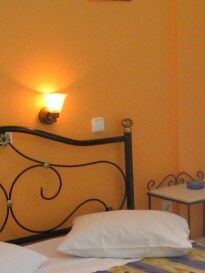 They are fully equipped and tastefully decorated, for a relaxing atmosphere and comfortable stay. 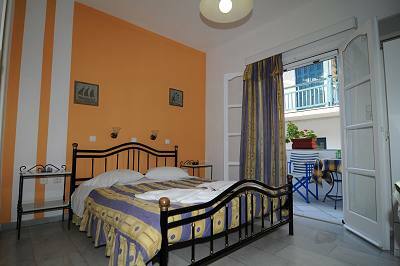 The studios are spotless clean and all have fully equipped kitchen, private bathroom, air-conditioning, balcony or veranda, satellite TV and hairdryer. 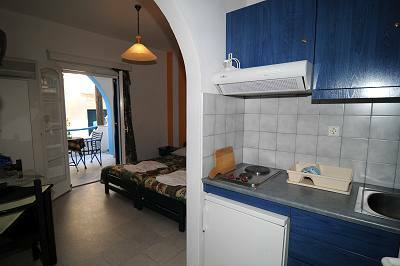 Services include daily maid and daily towels change.